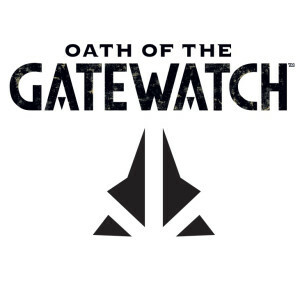 Oath of the Gatewatch prereleases officially begin on Friday on Magic Online, and I know many players are eager to get their hands on the new cards. Both Part One and Part Two of my Standard Pauper review of the set are available now on PureMTGO, so I encourage you to check those out for more detailed analysis of all of the cards. I've already written about the new colorless mana from the set as well as a first look at the new Lands at Common. Today, I finish up my evaluation of my top two picks at Common from each of the five colors for Oath of the Gatewatch. So far I've looked at White, Blue, Black, and Red. All that's left then is Green. Nest Invader is reborn as a 3/3 for 2G, albeit split among two creatures. Even better, the Eldrazi Scion potentially both ramps and fixes your mana if you need Colorless, and is probably one of the best ways to generate Colorless mana in Oath of the Gatewatch. Green would gladly play a vanilla 3/3 for 2G, and while this isn't quite that good, the extra versatility helps make up for what it lacks in raw power. I would love to see a Green Ramp deck come back into the spotlight, and this card seems like it would be a natural inclusion. This card seems good if you have access to Colorless mana, but is otherwise fairly mediocre. Giving it a virtual Holy Strength for a single Colorless mana is a great deal, potentially allowing this to attack as a 3/4 on Turn 3. Better yet, since this would most natural fit in a Green Stompy archetype, getting access to Colorless mana should be relatively easy. Also worth noting is that often simply the threat of being able to pump this up will often be enough to discourage your opponent from blocking it. At the end of the day, the only thing holding this back is the requirement that you have consistent access to Colorless mana. Overall I thought Green was much better here than in the previous set. What do you think? In this block, I think green (and blue) already Trumped (pun intended) the new 'surge' mechanic. Essentially, most green (and blue) Eldrazi creating scions can immediately pay for new colorless mana requirements while ramping into a costlier spell. For example, Scion Summoner helps to pay for Stalking Drone's buff (but only once), or to help pay for a spell one colorless mana sooner than expected. Given how green already has access to basic/forest land-grabbing spells, I predict how Elemental Uprising may be a better choice than Stalking Drone. Green shouldn't worry about mana, since many spells can fetch lands faster than they may die (especially if that land was a 4/4 or a 6/6 (Earthen Arms)). I agree with your other comments at puremtgo.com: mono-green may be a viable strategy that uses lands as creatures and pays for creatures far sooner than opponents expect. However, it may not REALLY be mono-green, but more like a dual 'color' of green/colorless. Will Evolving Wilds be needed in a 'mono' color deck? Will it feed Hooting Mandrils while fetching Wastes? How well will the other colorless lands impact land resources? My two cents and attempt to be more than a COMMON player. Great commentary David. I think your analysis is spot on.